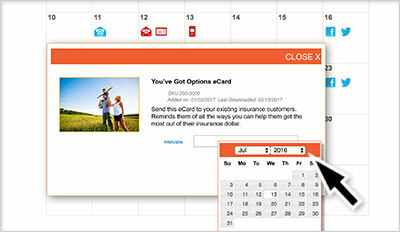 Email marketing made easy with emailShare. 72 Percent of U.S. adults prefer to communicate with brands by email.1 So why not make it easy for your users to send high-impact, engaging content to clients and prospects? Easy to lock down brand details. Go ahead. Let your users personalize your email content with their name, address and photo without worrying that they’ll compromise your brand’s integrity. With emailShare, you can “lock down” as much or as little as you want within each piece you offer — and keep your branding in tact. Super convenient to send emails. Once users select and personalize an email, they can send it right away or automatically schedule for a later day and time. 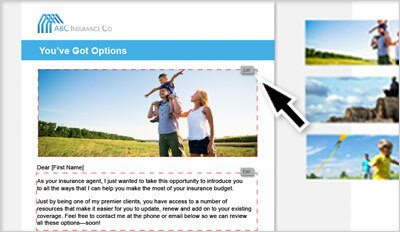 Extensive flexibility to manage email lists. Not only can users upload multiple contact lists to this platform, they can choose to send their emails to one individual — or to everyone on a list. Simple way to measure results. As an administrator, you can always see which email content you provide is being used and by whom. 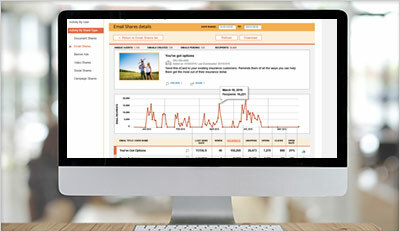 Plus, users can monitor how their email marketing activity performs by looking at the analytics (e.g. 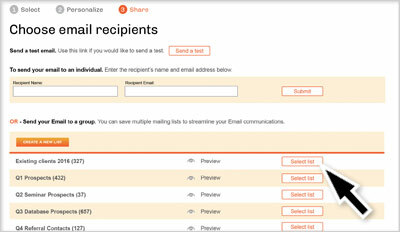 recipients, open rate, clickthrough rate and bounce rate) for each email campaign.